On some level I feel like I don’t “make” anything. The sheep do the real work, growing all that wool! But I take it when they are done and make it available to other fiber enthusiasts, both in natural and handdyed colors. I work with the fleeces at every stage. Locks, simply washed and dyed. Roving or combed top, cleaned, processed, and dyed. Batts, many fibers carded and blended. Yarn, dyed and handspun. At the top of the pyramid I have some finished goods, such as mittens and jewelry. But my primary focus is the fiber and its potential. I began selling during the holiday season of 2006. In my naivety I only brought five pairs of fingerless mittens with me to the craft show along with a few other items. I quickly learned you can never have enough. 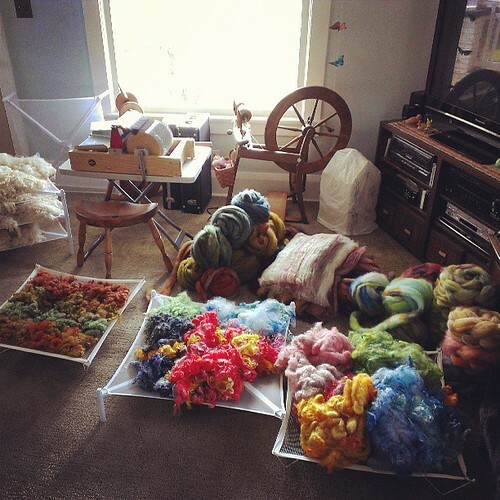 Over the course of several years, I slowly began attending more and more fiber shows, all the while adding new items to my inventory. The past two years my event schedule has included 8-10 different festivals. I work primarily in northeastern Ohio and western Pennsylvania, however this year I have expanded into New York. 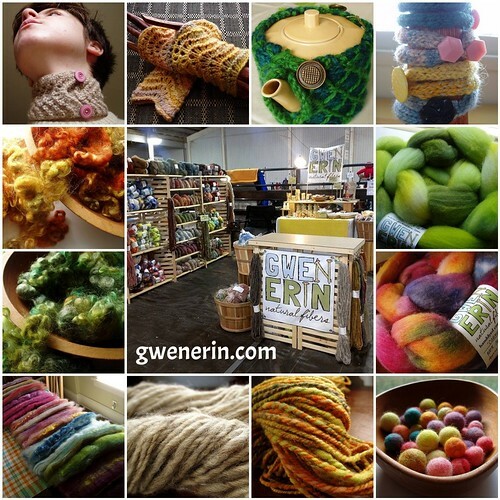 There are a lot of things to love about working with fiber and in the fiber arts industry. It’s constantly changing – there are always new things on the market. It can be difficult and overwhelming trying to keep up with what is new and current, who is the popular designer or dyer of the moment. I do like the variety, but I would say I have stayed in a fairly traditional box. If you are looking for something new, it isn’t necessary to add cassette tape or bolts to your yarn. There are so many beautiful options just within the natural world. I love exploring the many breeds of sheep and I try to keep a good variety for my customers who are also attracted to that aspect of the craft. When it comes to the dyeing part, I really enjoy the unpredictably of it. 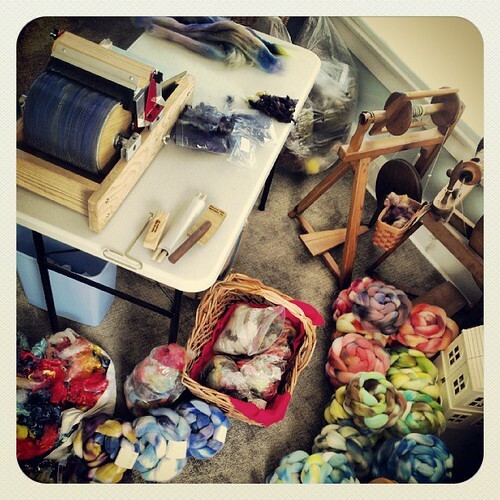 I know there are other dyers who follow very scientific and repeatable processes, but I simply cannot work that way. When I stand there in the kitchen, with my jars of dye in front of me, I can’t plan it. The end result is whatever it will be.